Made by distilling apricot kernels macerated in cognac with spices. The name comes from the French ‘noyau’, meaning kernel, while Sceau De Saint Louis (the seal of St Louis) celebrates one of the Crusader Kings, Louis, born in 1214 at Poissy, the son of King Louis VIII and Blanche of Castile. First made in the town of Poissy in Yvelines, Ile-de-France, where in 1698 an innkeeper by the name of Mr Suzanne started serving the liqueur to his customers. It became common practice to serve an apricot kernel liqueur in the town’s other inns and hostelries, particularly on Thursday when buyers and sellers came to town for the cattle market. 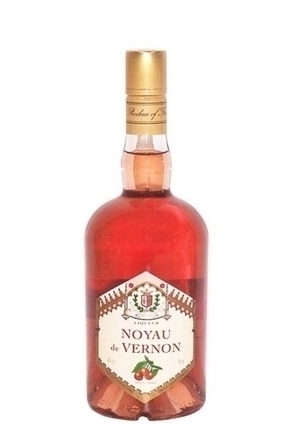 Confusingly, Noyau de Poissy is available in two different guises and brand names. 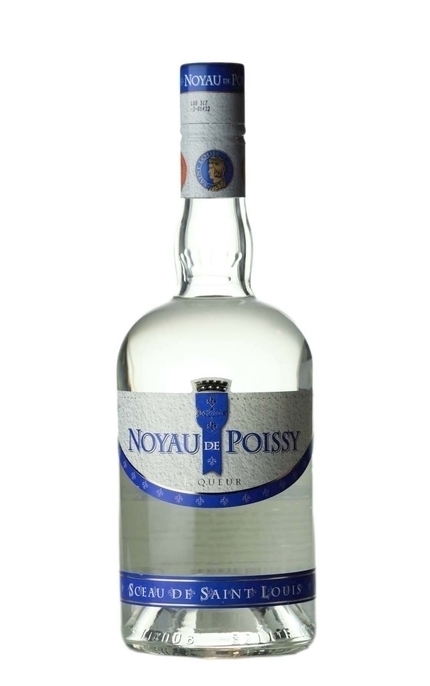 ‘Noyau De Poissy Blanc Sceau De Saint Louis’, a crystal clear liquor at 40% alcohol; and Noyau De Poissy Le Gobelet d'Argent de couleur ambre’, an amber coloured liqueur of 30% alcohol. The latter’s name harks back to around 1750 when a liquor factory called Violleau started producing an amber coloured liqueur by macerating apricot kernels in Armagnac rather than distilling them. The liqueur won an award from the Duchesse de Berry called ‘The Silver Goblet’. Both these liqueurs could be described as being ‘Crème de Noyau’, a generic term for apricot kernel liqueurs frequently used in vintage cocktail books. The Silver Goblet ‘amber’ version of Noyau de Poissy is not dissimilar to amaretto. 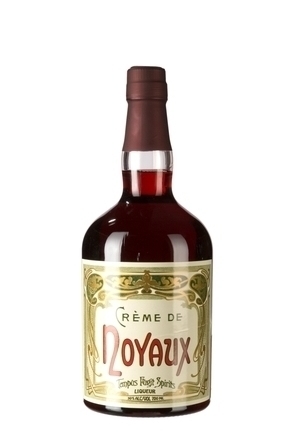 In 1954, both liqueurs started to be manufactured by the same company when Dumont Duval became the owner of both liquors. Three generations of the Duvals succeeded him before the liqueur passed to its present owner, Pagès Vedrenne, in 1999. Spirity toasted almond and marzipan. Spirituous and sweet with enlivening spice. Delicate almond flavours are backed and made more complex by floral, almost rose water notes. Slight bitterness evident on that lasting almond and rose water.